When can we start booking for the Star Wars resort? Too bad not every family or Fan can go to Disneyland. I’m disabled and cannot travel. Also everything really need to be in California? We´re sooooooo happy with this new adventure, and really like to go and enjoyed it. Do you have dates or pre-dates to book it? Shut up and take my money! MIND BLOWN. This all suddenly got VERY REAL. I CAN. NOT. WAIT. for next year!!! We’re excited about all the new Star Wars attractions! Do you know if any of the rooms in the Star Wars hotel have windows that open or look outside? I could never stay in a room without a real window. Thanks! Please have it all up and going by September!! Can’t wait to drink the blue milk! Wow! This look utterly spectacular. This makes my inner child sing with glee and wonder! Any hint on when in Fall 2019? October, November or December. I and my family (OK some more than others) can’t wait to check out the Falcon and join the Resistance. I just wish the Star Wars resort would be ready at the same time, and that it had a name. I am so excited for Galaxy’s Edge! The rides look fantastic. I can’t wait to explore Batuu. And look, despite being in the copilot’s seat, the female character is the one driving the Falcon. Because of course she is. 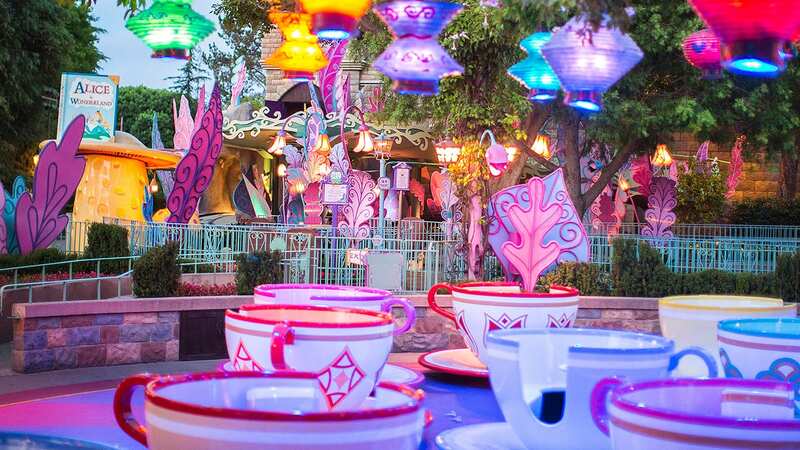 Will the attractions be accessible to guests with disabilities? Specifically guests who are unable to transfer from a wheelchair? John Williams score is what it’s all about for me. Just want to mention that the conductor/music director of the new Galaxy’s Edge score is the incomparable award-winning composer/arranger William Ross. The STAR WARS / DISNEY fan base thanks you for releasing preview materials like these to the community online. We are excited about EVERYTHING you’re doing and strongly believe that if you build awareness in partnership with the key YouTubers, bloggers, and vloggers that care very much about Disney Park development in particular, these projects will be far more successful. We are your biggest enthusiasts and evangelizers. So please keep the information flowing. We the fans want these endeavors to thrive and we can hardly wait to participate in the magic-making. May The Force Be With You. 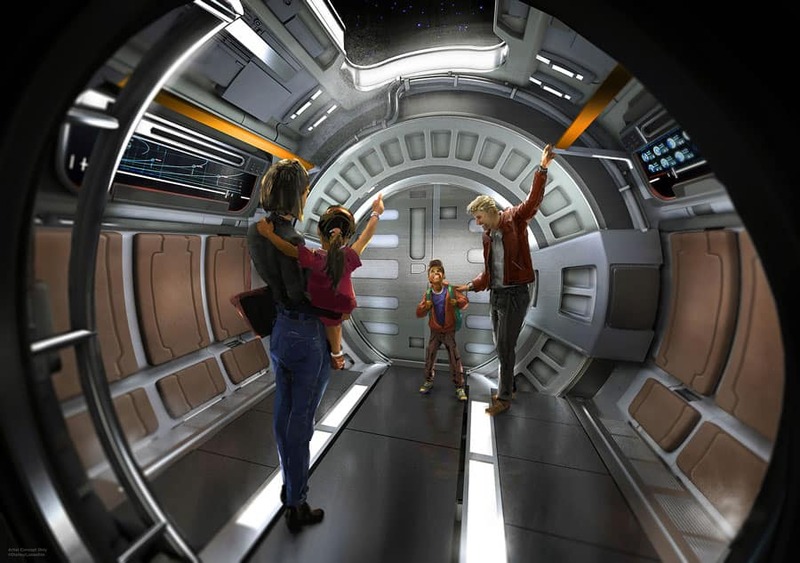 I’m excited about ALL of it….but I’m probably most excited about the Millennium Falcon: Smuggler’s Run attraction. I just love that ship! Which new piece of Star Wars news am I most excited about? How can we choose between an original John Williams score, walking through a First Order ship, helping the Resistance, and powering on the Millennium Falcon? Instead, I choose the authenticity of all this. 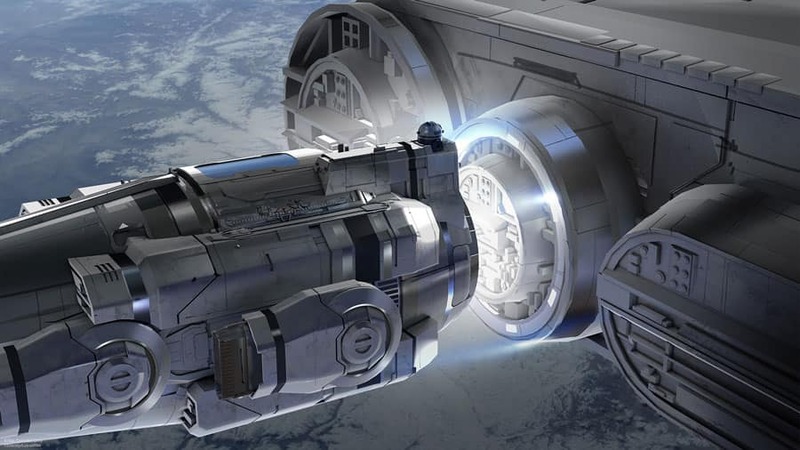 This is hands-down the single most exciting theme park project in decades – and not just because I’m a big Star Wars geek. I look forward to losing myself in Galaxy’s Edge.